We’ve all got iPhone mania in the Valley, never mind that Apple tracks our every move and won’t explain why or that AT&T users can’t actually make calls. 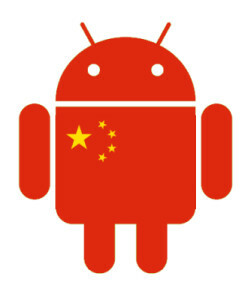 But in Asia– and much of the rest of the developing world– the anticipated mobile giant is Android. Android phones are just starting to hit Japan and China, and a flood of cheap new models are expected to come on the market within the next year. Expect a flood of new apps to follow that, particularly in China where venture capital is flowing like water. The rise of Android is as close to a no-brainer prediction as you can make with always volatile and uncertain emerging markets. Combine the market size of countries like Japan, China, Indonesia and India with cheap, increasingly-sophisticated devices and a massive base of gamemakers and hackers and someone’s going to make a lot of money. Silicon Valley companies have a long track record of screwing up in Asia, especially China. But Google would have to screw up so monumentally badly to blow Android’s Asian future. It would have to screw up worse than eBay, MySpace, Amazon, AOL, and, ahem, Google already screwed up in China, combined. DCM’s fund will focus on startups in Silicon Valley, Beijing and Tokyo and investment decisions will be jointly made by partners in all three locations. Mostly, that will be DCM’s existing staff, with a few extra hires. That may sound inefficient, but DCM has long been an outlier with its China strategy, making all its investment decisions as a single firm, not a Valley firm with international franchise offices. And, so far, it’s worked well for the firm. DCM has partnered with some big Asian heavyweights including gaming giant Tencent, Japan’s largest mobile gaming social network GREE and Japan’s second largest mobile operator KDDI . DCM has additional partners in the United States that it will be announcing in coming weeks. Chao described the role of the strategic partners as an advantage startups could chose to take advantage of if they wanted distribution help in China and Japan, or refuse if they were worried about those bigger competitors squashing them in the market. Worries about competition are just one of the headaches with an undertaking like this. While Android is undoubtably a huge opportunity, there are a lot of cooks in this $100 million kitchen– not only across different time zones and cultures, but across different industries. Already, there was a dispute on the part of the various partners on when the news would be released. I woke up to DCM moving the news release up by about five hours, thanks to a promise a Japanese partner made to the Japanese media. Let’s hope the coordination gets better once investments start, because it’s a huge opportunity for startups to leverage these massive markets at once.